(Bloomberg) -- A military intervention may be necessary to bring humanitarian aid to Venezuela and possibly topple Nicolas Maduro, according to a former senior Venezuelan diplomat who broke with the government in 2017. Venezuela is now controlled by drug cartels and militant groups including Colombia’s FARC and Lebanon’s Hezbollah, Isaias Medina told reporters at the United Nations. The governments of Cuba and Russia are also active and won’t cede ground easily, he said. Medina left his post at the UN mission in Venezuela due to the killings of protesters. 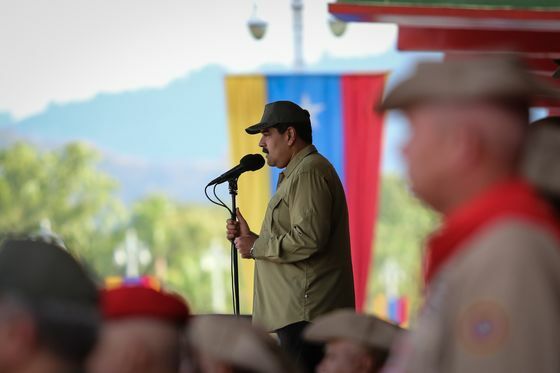 U.S. President Donald Trump has stepped up pressure on Maduro and said using the military to remove him remains an option. While most Latin American nations backed the U.S.’s initial moves against Maduro, including sanctions, all have balked at the idea of using foreign military forces to remove Maduro, including neighbors Colombia and Brazil.